When you have little children you want to make sure they are safe. There is no better way of making sure your precious child's safe than to build their playhouse yourself. We'll tell you how to build a playhouse for toddlers that is safe, cheap and easy to put up. Before you find out how to build a playhouse for toddlers, you'll need to know what tools and materials you need. 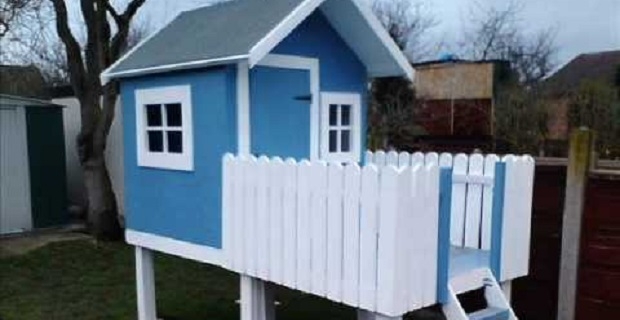 Whether you're building a stationary playhouse in the back garden or a tree house, you'll need the following materials: wood, nails, screws, truss brackets and paint. The quantity depends on the size of playhouse you're making. 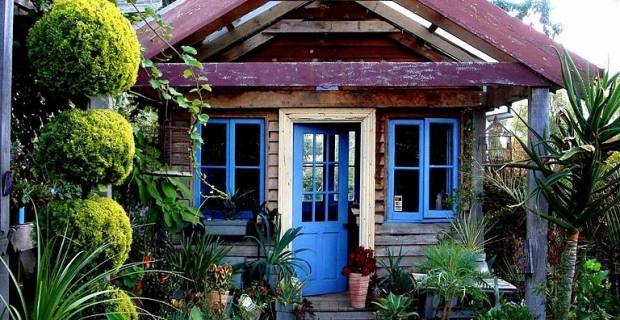 The size is only limited by your ambition and the available space you have in the garden. If your garden is not prone to even the mildest flooding, lay out floor bond boards directly onto the ground. If you're worried about making a solid enough foundation in this way, put wooden blocks in each corner and then put the floor bond boards on top. You'll need to lay sheets of plywood or panels of wood to create the foundations. Then you will have to use a spirit level to verify that the floors flush. The next step involves you attaching the flooring to the foundation using nails or screws. To attach each wall you'll need 90 degree wooden brackets. Make sure you have enough of them so that they can be at most 6 inches apart from each other. The final construction stage sees you place a roof onto the walls. This can be a flat roof, but you're better off with a sloped one because of the UK's frequent rain. You'll just need to attach it to the walls using nails or screws to complete your playhouse. You really have to make the playhouse look good in order to grab your child's attention. Although you now know how to build a playhouse for toddlers, you'll need some artistic skill to really showcase your work. Don't just paint it one colour. Give it a few coats of paint and use an eye catching design that will make your toddlers smile.